Through years of experience under the harshest of conditions, we have learned that an insulated tent requires flexibility as well as quality. Through years of experience under the harshest of conditions, we have learned that an insulated tent requires flexibility as well as quality. The insulation itself makes it possible for work crews or guests to remain afield for extended periods of time without sacrificing comfort. Equally important is a structure that allows you to alter its key components to meet any demand you may have - from unique length, width and height specifications to window and door location. for containment berm strength, durability and overall performance of our Field-Tested designs and products. Our record of successful bermed fuel/chemical storage installations encompassing a variety of harsh liquids has given our secondary drum containment berms a recognized position of leadership in this very specialized field. 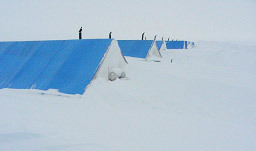 Whether your custom-designed insulated canvas wall tent is intended for mineral exploration, mining operations, lodge/tourism application or for any other use, the high quality materials we employ, combined with your specific design needs, results in the exact insulated tent you require. 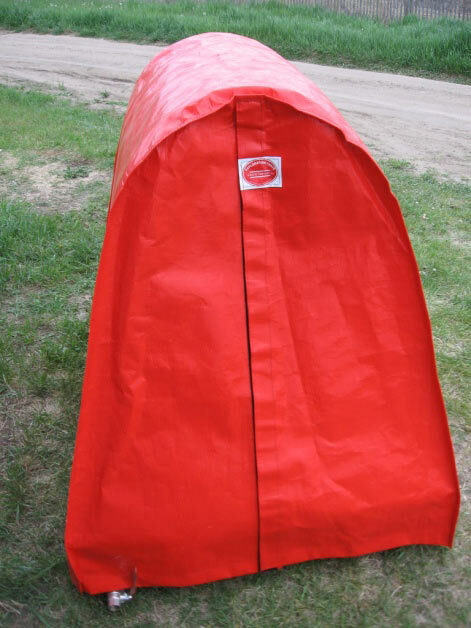 The Pioneer tent heater is the perfect addition to a custom Exploration Tents, insulated tent or portable shelter. 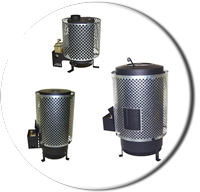 Fuel Supply Line Kits, Exhaust kits, Galvanized Rotational Wind Cap, Black Steel exhaust adapter, Black Steel Stove Pipe & Fuel supply line kits, etc. We custom make these Core Storage Covers in all shapes and sizes. Protection from contamination and deterioration of the valuable original sample is provided by these Heavy-Duty 12 oz woven-poly covers that guard against direct sunlight as well as water damage by rain and snow melt year after year. The XR-5 fabric technology used by ExplorationTents for our secondary/spill containment has set the industry standard for many years for containment berm strength, durability and overall performance. Most our products deliver levels a performance that far exceeds specified INAC requirements and industry regulations. Our secondary/spill containment products have set the industry standard for many years for containment berm strength, durability and overall performance of our Field-Tested designs. At Exploration Tents and Arctic Camp Supplies we take pride in designing, building and selling wall tents that are precisely what the individual customer needs - professionally crafted and of the highest quality fabrics. 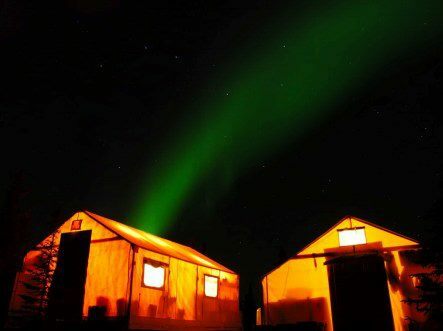 We have 30 years of experience in Arctic and Sub-Arctic conditions; our tents and camp supplies are products that have been tested in some of the harshest environments on the planet. Over the years our staff has developed an understanding of the special requirements of companies and individuals working on a wide variety of mining and mineral exploration projects as well as tourism camp operations in northern Canada. During this current exploration climate, use our experience to your advantage. Our tents are Bush-rat tested and approved. * In order to simplify your logistics we have agents in Whitehorse YT., Yellowknife NWT., and Prince Albert Saskatchewan - the major jump-off points for exploration in the north. * PIONEER has been a supplier to the Canadian and U.S. Military for more than 10 years now. • No electricity required • Easy to light and operate • No diesel smell or smoke • Certified to CSA/UL standards • 3 models from 4,000 to 55,000 BTU • More economical and easier to use than wood or propane. * All Toyotomi products are manufactured in its state-of-the-art plants in Japan. Toyotomi products are UL and CSA listed, in addition to meeting International Quality Control Standards IS09002 and ISO14001. Toyotomi products are designed and built for Safety, efficiency and dependability and are recognized worldwide for their superior quality. 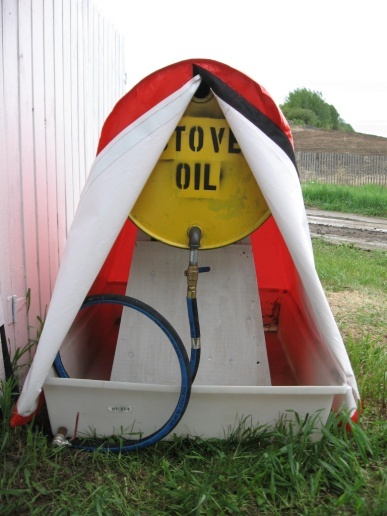 ** "Toyotomi", "Toyostove", "Oil Miser" are registered trademarks of Toyotomi Co., LTD. 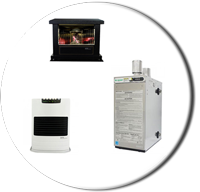 Note: Maintenance and Installation guides are available on our individual product pages.